"STEPPING UP FOR OUR VETERANS"
Their military service is over, but invisible wounds of service can remain. They suffer from frequent nightmares, are constantly on edge, jump at sudden noises, prefer to stay at home more and more, or become disconnected from your family and friends, increased jumpiness, or trouble sleeping are common. When these reactions do not go away or worsen, then Posttraumatic Stress Disorder (PTSD) may be present. Veterans and Service members are at an elevated risk for PTSD. Various factors contribute to PTSD including combat situations which can add more stress to an already stressful situation. We are going to partner with Emory Healthcare, they have a Veteran Program for PTSD (Post Traumatic Stress Disorder),TBI (Traumatic Brain Injury), MST (Military Sexual Trauma). Emory Healthcare Veterans Program takes a collaborative approach to healing, beginning with a comprehensive individual assessment conducted by top specialists in the fields of psychiatry, psychology, neurology, rehabilitative medicine, and wellness. They offer this program to our Veterans for free of charge. We will be raising funds through our posts and districts to help keep this program striving at Emory to help Veterans all over the world. Please send in your reports on how you raised your funds to keep this program going to make a difference for our Veterans. Remember the Holidays are over keep our Veterans in your prayers and thoughts. Take 20 minutes out of your time, give a Veteran a call let them know you care. I will be selling tickets for a 50inch TV HD Smart TV, at our February and June meeting. We will be raffling it off at our June State meeting. Let’s reach our goal and heal those Invisible wounds for our Veterans. Rose Ann Keenan President Special Project Chairman 770-298-7432. 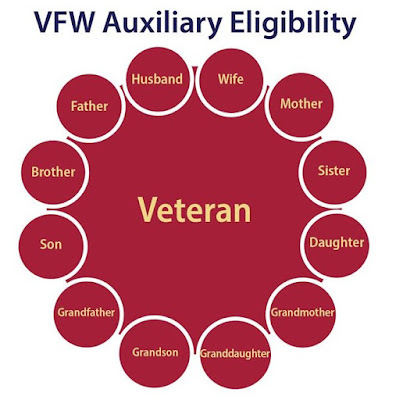 Auxiliary Legislative Handbook - Dept of Georgia VFW Auxiliary's 2018 Legislative Handbook (PDF) Coming Soon !